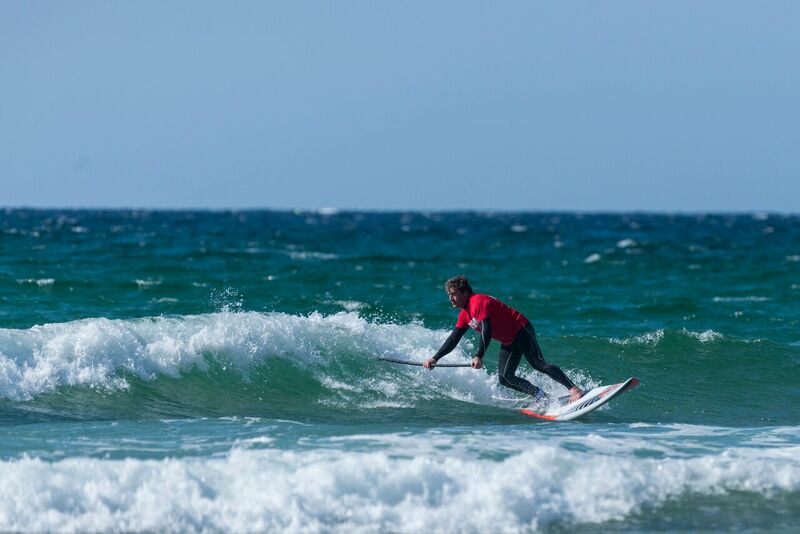 Legend of the Bay 2017 will once again bring stand up paddle boarders and kitesurfers together in this unique event held on the hallowed shores of Watergate Bay, Cornwall, April 1-2. This unique competition format makes it both exciting and nail biting until the final hooter sounds, as was the case last year when the overall title was decided by 0.10 of a point. You cannot step off the gas at any point during any of the heats, you have to be winning to stay in the game. Competition of both days will aim to start around 9am, with semi-finals and the final held towards late afternoon when the incoming tide will bring the competition closer up the beach, and in front of the Beach Hut. Prize giving will follow on. Over the course of the weekend competitors can entry either a one day kite wave competition or a one day paddle surfing competition. Should competitors be proficient in both sports they can enter both competitions. The competitor with the highest combined score will be crowned Legend of the Bay.